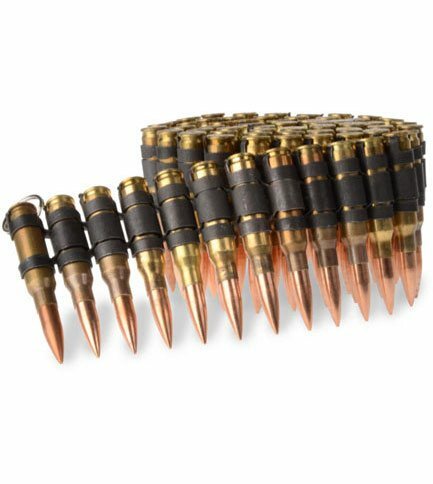 This Brass with black links 0.308 MM caliber bullet belt has brass casings and black Links. Rounds do not have firing pins and are inert. 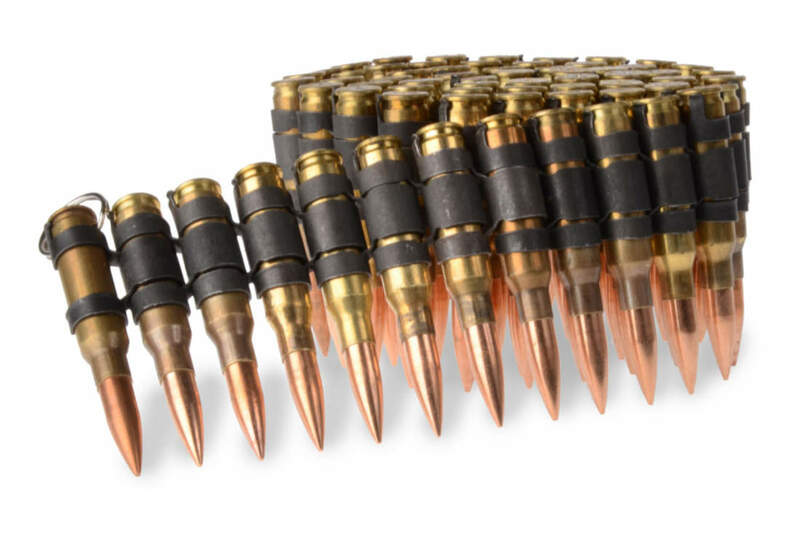 Bullets measure approximately 2 3/4 inches tall. Medium: 38 inches in length, Large: 42 inches in length.